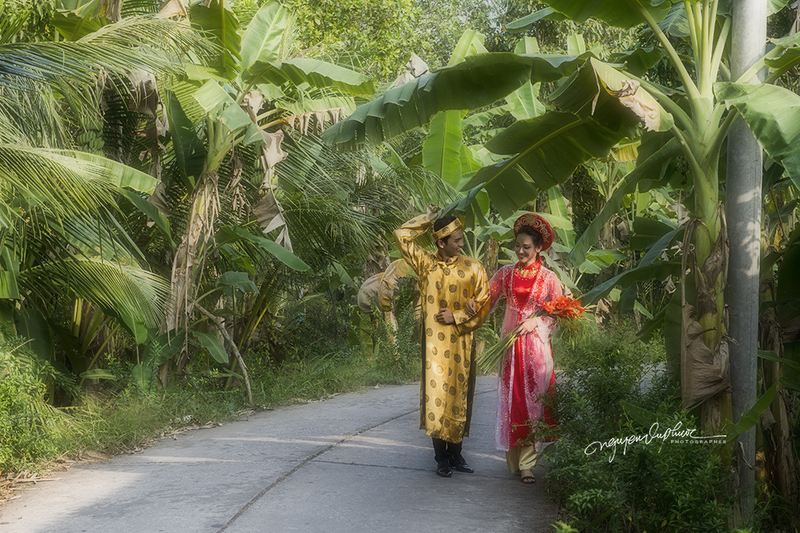 This is a great journey to discover traditional wedding in the Southern Vietnamese villages”. 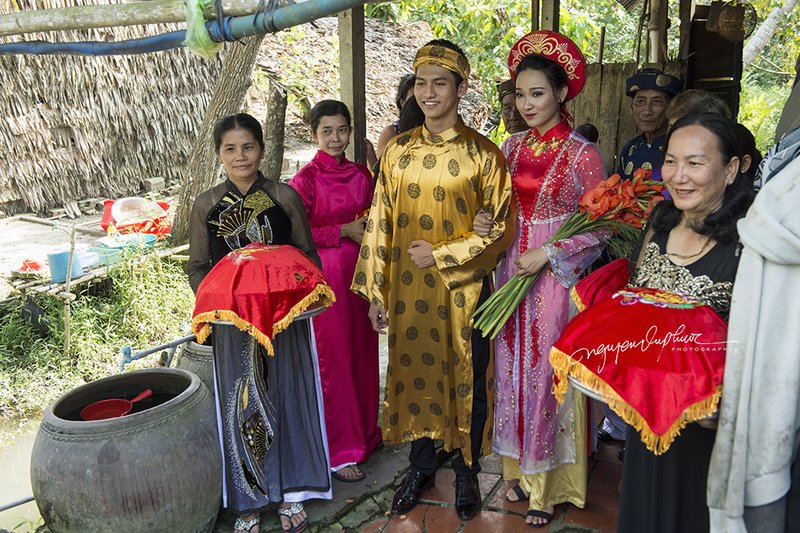 The wedding ceremony is properly simulated with the traditional wedding ceremony procedure of the Southern people. 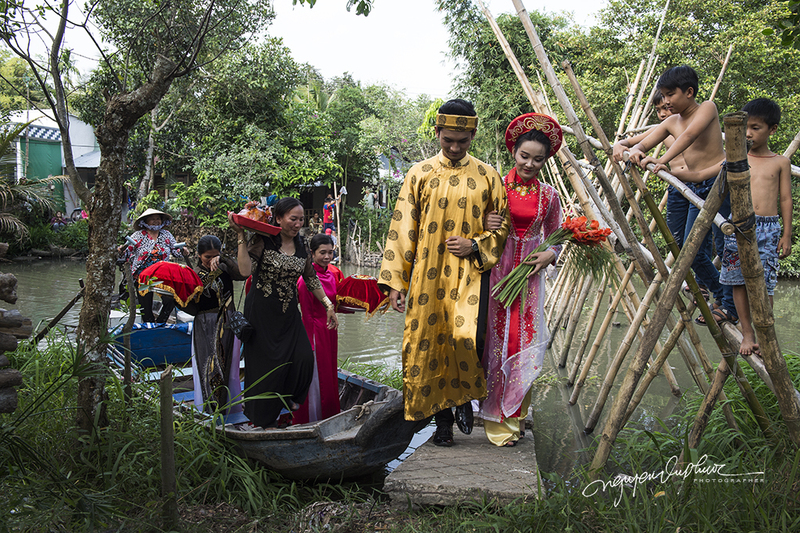 Among them, the bride and groom characters are the main characters in traditional weddings selected from professional photography models. The wedding procedure in the South is still carried out with all the rituals – marriage proposal, pre-wedding ceremony, wedding procession. 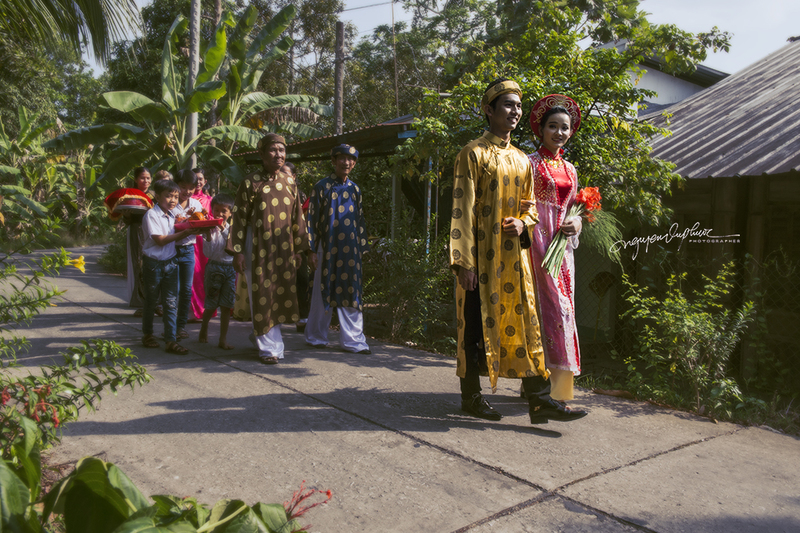 However, different from the custom of the North, if two families in the South are far from each other, they can skip the opening ceremony, conduct a common ceremony and pick up the bride on the same day. At that time, the ancestors and wedding offerings when receiving the bride will also be combined. Our photography program is “stimulating” all the traditional wedding procedure so you can visit and take photos at each stage of the ceremony. 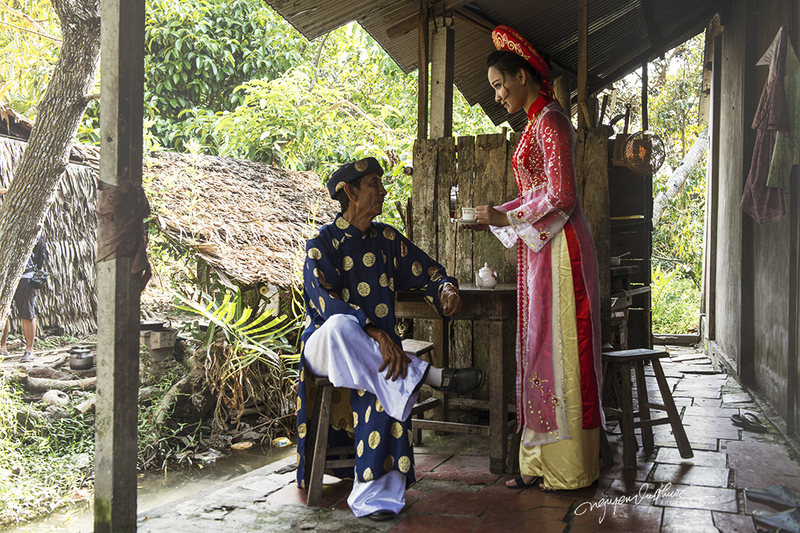 It is also an opportunity for you to learn more about Vietnamese marriage culture in each region of Vietnam. 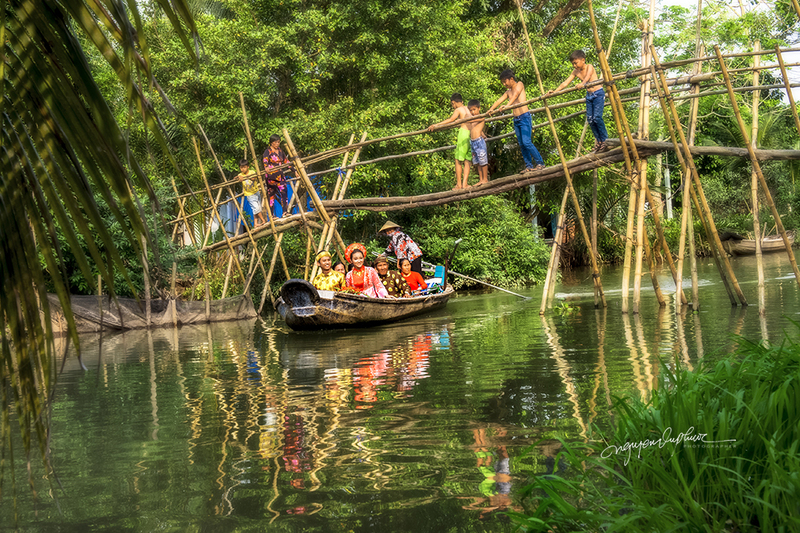 The wedding in the Southern Vietnamese village is an attractive and very meaningful tourist photography program and also a special point when you come to Vietnam. 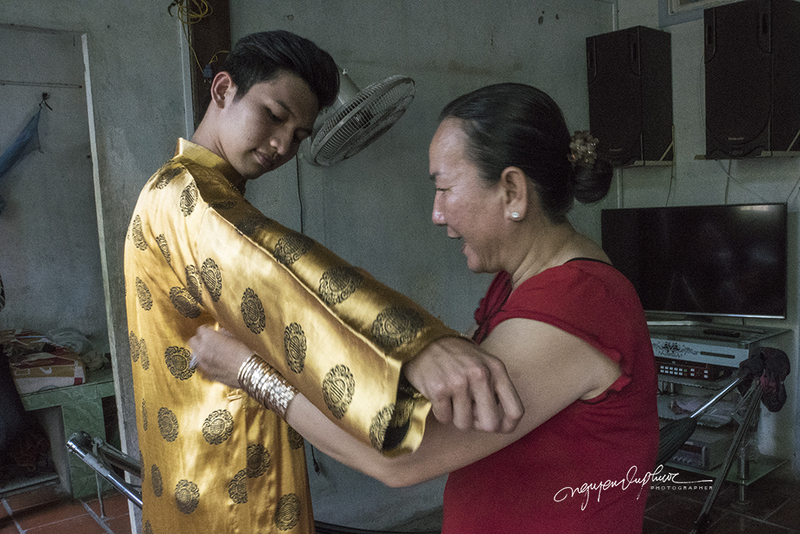 It will be very interesting to see a kind of indispensable ritual, culture of Vietnamese people, which everyone has to perform once in their life. 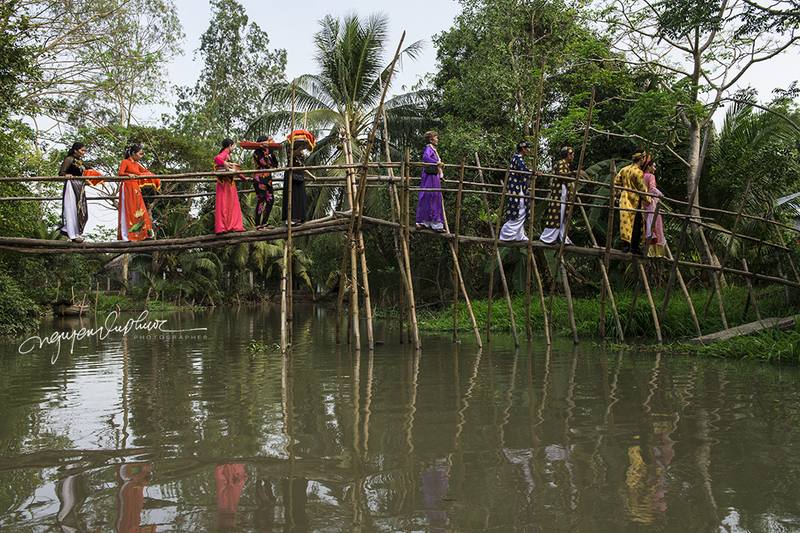 Marriage customary practices of each region will be different from North to South. Particularly for the procedure of Southern marriage, the pre-wedding ceremony is usually not too finical but not so there are no separate standards that the bride and groom need to pay attention to. -Normally ceremonies are performed at ancestral altars. Accompanying him are the grandparents, parents who go in double; the four of six man and woman hold offerings. -The offerings brought to the girl's house in addition to fruits, candies, must have betel nut, big pairs of lamps (candles), coinciding with the size of the candlesticks on the altar of bride’s family. When the girl's family agrees, the bridegroom’s family will take turns in and officially perform wedding ceremonies and ceremonies. 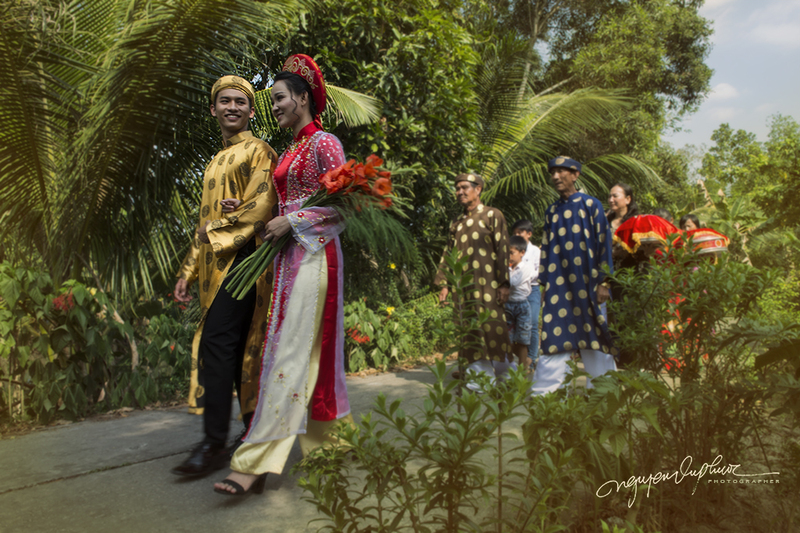 -The bridegroom’s family will respectfully invite the bride's family to drink tea, drink wine, invite betel nuts, the two sides discuss and agree on marriage of the bride and groom and perform a ceremony to donate jewelry to the bride. -The most important and sacred ceremony at the southern wedding is the ceremony to light up. Two big candles brought by their family members will be placed solemnly on the ancestor's altar. 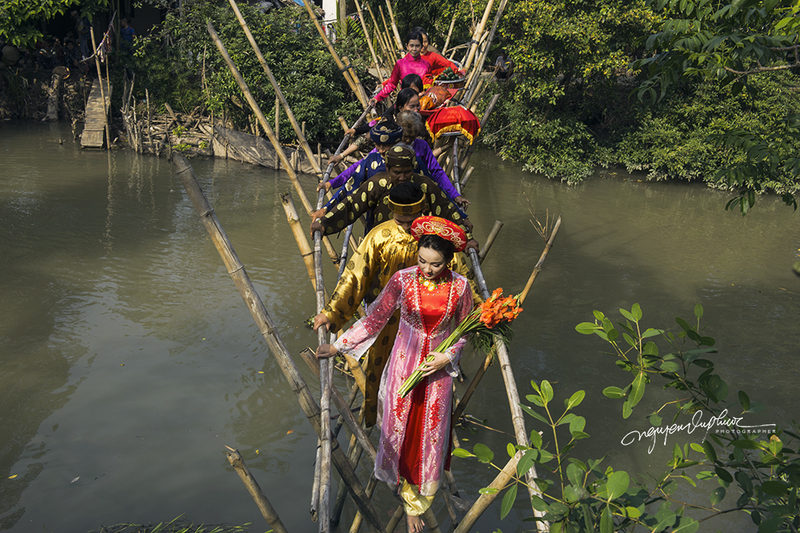 - The head of the girl's family proclaims: "Please make a light up ceremony," the bride and groom personally lit candles from the fire of a small “duck egg oil lamp” on the altar (fire incense). -According to the procedure of marriage in the South, the head of the clan will open a bottle of wine in the offerings that his son brought and stand in front of the altar, the bride and groom stand on both sides, silent. -Then the bride and groom will plug the lamp into the candlestick. Two lights burned slowly, placed close to each other because the ceremony was applied to the hands, like prayers. Then the head of the clan will give two assistant lights to plug into the candlestick. Two lights must burn slowly and evenly, if the fire is different, it is said that the bride will “overpower her husband”. -When the two of them were fully present at the house of the son's family, the groom will pour wine for the head of the family to declare and celebrate the marriage. -The bride and groom took turns to perform rituals, the first being the “ong ba qua vang” ceremony - the ceremony before the altar, followed by the worship of family names, pouring wine to invite the clan, grandparents two the party, the worship ceremony - the bride and groom offer wine to their parents, finally the brothers and the guests come to give gifts and congratulate the bride and groom. Then the head of the clan announced the end of the marriage ceremony. Currently, in addition to holding family weddings, young people also hold wedding ceremonies in restaurants. The ceremony depends on the requirements of the bride and groom or each restaurant is a little different.